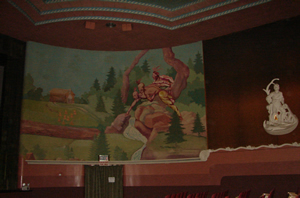 The Town Hall Theater was originally an Opera House, a USO Club and a Silent Movie House. In 1949 the building was purchased by motion picture pioneer Earnest J. Wolfe after his other in-town theater, The Bijou, burned to the ground. Earnest hired a well known architect Michael J. De Angelis of Rochester to design the Theater remodeling. The interior was designed and painted by the famous Oscar Gias of New York City. Anselm Cannan of Lowville was in charge of the construction work. It was heralded as the most outstanding and beautiful theater in Northern New York. 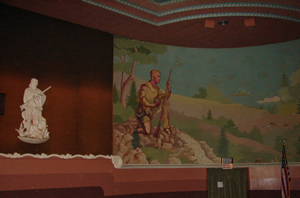 Nick and Rena Giannocous purchased the Theater from the Wolf family in 1957. 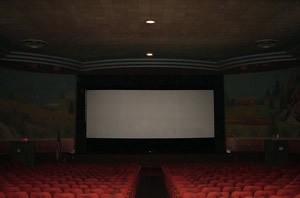 The O’Brien family purchased the theater from Nick and Rena Giannocous in 1990.